Courts • He allegedly fired multiple shots at carload of people. 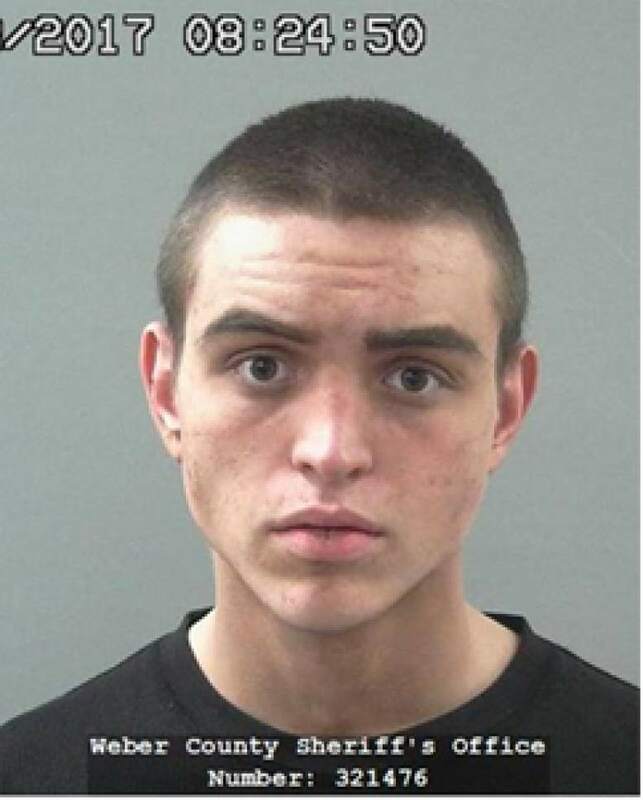 A 19-year-old Ogden man has been charged with murder and attempted murder for allegedly firing multiple rounds into a carload of people last Sunday. In 2nd District Court on Wednesday, Thomas "T.J." Lovato was charged with first-degree felony murder; two first-degree felony counts of attempted murder; second-degree felony obstruction of justice; and class A misdemeanor reckless endangerment. Lovato remained in the Weber County Jail on Wednesday in lieu of an $84,000 bond. According to a probable cause statement, police answering a 911 call about 12:45 a.m. Sunday found 32-year-old Ernest Pepe Martinez dead inside a vehicle in the parking lot of Ogden&apos;s SNS Quick Shop at 110 Patterson Ave.
Witnesses&apos; accounts  including statements from two people inside the vehicle who narrowly missed being wounded themselves  were used, along with images from nearby security cameras shared with news organizations and social media, to identify the suspect as Lovato. The motive for the shooting was not disclosed in court documents, but Deputy County Attorney Teral Tree alleged that Lovato made extensive efforts to mislead investigators. Lovato&apos;s Facebook page  which had contained photos of him with firearms and wearing a jacket and hat similar to the shooter  was renamed, and then many of its photos and posts were deleted. Subsequently, the Facebook account&apos;s profile was deleted in its entirety. Prosecutors say Lovato also discarded the clothes he was wearing and was wearing a wig when eventually arrested. Detectives obtained a search warrant for Lovato&apos;s residence and located a black handgun believed used in the shooting, but the suspect remained at large until early Monday when he was spotted just after midnight walking near 21st Street and Washington Boulevard. Lovato initially ran from police but was apprehended after a short foot chase. While being questioned at OPD headquarters, he allegedly waived his right to be silent and "confessed to shooting [Martinez] multiple times," court records state. The case has been assigned to Judge Noel Hyde.